Boating and Jet Skiing are popular in Colorado. In some ways, circumstances here create the potential for disaster. The limited availability of watercraft venues and a relatively short boating season contribute to crowded conditions on summer weekends. One doesn’t need a license or formal training to operate a boat or jet ski. Inexperienced, untrained operators may not even be familiar with basic rules of the road that apply to boating. Key aspects of operation of a boat, and even moreso of a jet ski, are counter-intuitive to inexperienced operators more used to driving cars. When an emergency situation arises, these factors may cause delayed or incorrect reactions. Too often, boats and watercraft are seen as toys. In reality, they are potentially lethal machines. All of these factors combined in a tragic case handled by Boulder Boating and Jet Ski Accident Lawyer Luke Cederberg. 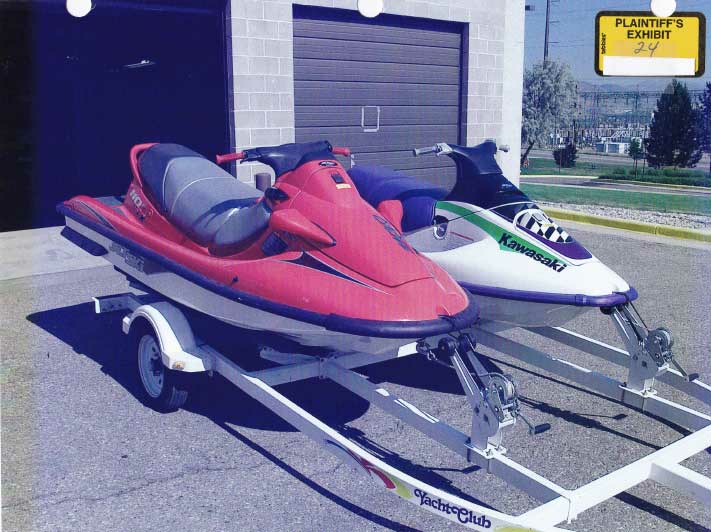 Teenagers took a jet ski to a crowded Chatfield Reservoir on a Sunday afternoon in June. They took along their friends, who had never operated a jet ski. A fifteen-year-old girl, without any experience or training, was driving a jet ski with another teenager on the back of the watercraft providing a distraction. She was operating the jet ski perpendicular to the circuit for boat traffic and collided with a young girl in a banana boat being pulled by a motorboat. The little girl suffered a catastrophic brain injury and did not survive. The party atmosphere of recreational boating, operator drinking, and other distractions also contribute to boating accidents. In addition to the dangers of collisions involving powered boats or watercraft, any boat exposes occupants to the dangers of drowning if the boat is unsound. The perception of boats as toys can obscure the danger. In high altitude lakes, anyone who ends up in the water is at great risk of hypothermia, incapacitation, and drowning. Paddleboats, canoes, and other small watercraft, if defective, can take on water, capsize or sink and cause loss of life. Suppliers of recreational boats can be liable for the consequences of defective equipment, inadequate safety equipment, or failure to provide necessary instructions. One of the challenges in power boat or watercraft cases is that ordinary automobile insurance or homeowners insurance does not provide liability coverage for power boats and watercraft. Unless the boater has insurance specifically covering the boat or craft, it may be necessary to identify a responsible party with sufficient assets to satisfy a judgment.